Melissa Weber attended Michigan State University to receive her Bachelors degree in Kinesiology. 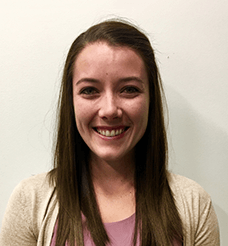 She then pursued PT school and graduated from Central Michigan University in 2018, earning her Doctorate of Physical Therapy. Melissa has a special interest in running injuries, gait analysis, and concussions, however enjoys treating all outpatient injuries. Outside of work, Melissa enjoys spending time with her family, running, boating, and rock climbing.